So, you've now got your Strawberry Infused Vodka sitting, taunting you to drink it. I couldn't wait the full 3 days for it to infuse. The second day, Friday, I tapped that puppy and mixed away! So, the drink of choice that I've been addicted to is about as easy as the infusing process. All you need is your vodka, 7-up (or Sprite if you prefer), Club soda, a lime and ice. "Press" in the bar world is a mixture of half 7-up and half club soda. So, I pour the amount of vodka I want over a cup full of ice (about 1-2 oz or shots of vodka) and finish the rest with half-and-half of the sodas. 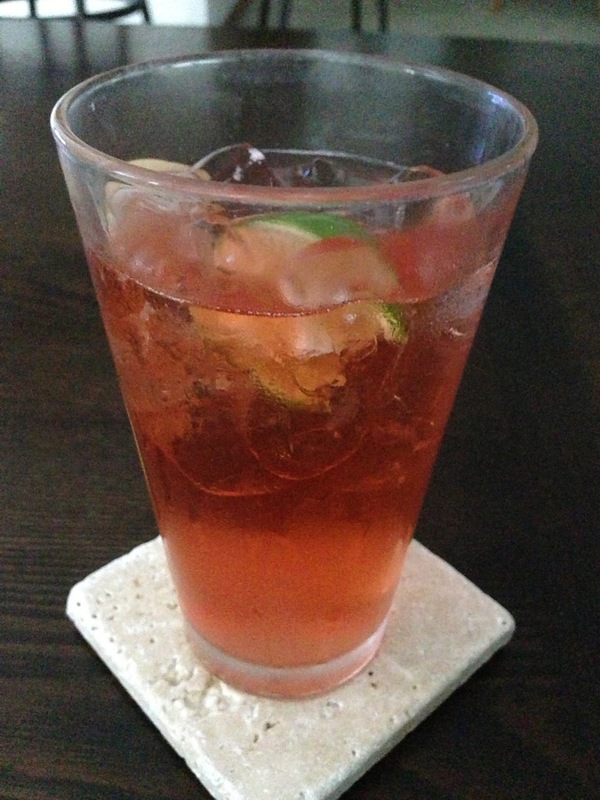 The batch I made wasn't super sweet, so I went a little heavier on the 7-up than the club soda. I then finished off with a lime wedge. It is the best summer drink; so refreshing and light!